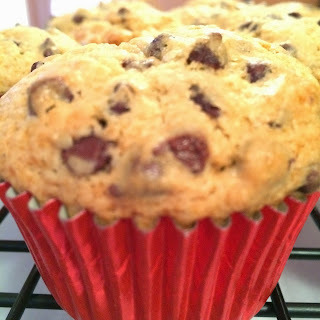 My recipe for Double Chocolate Muffins have been getting a lot of love lately! If you haven't already, you should check out that recipe and make a batch soon! I promise it will be the healthiest Double Chocolate Muffin you can make! 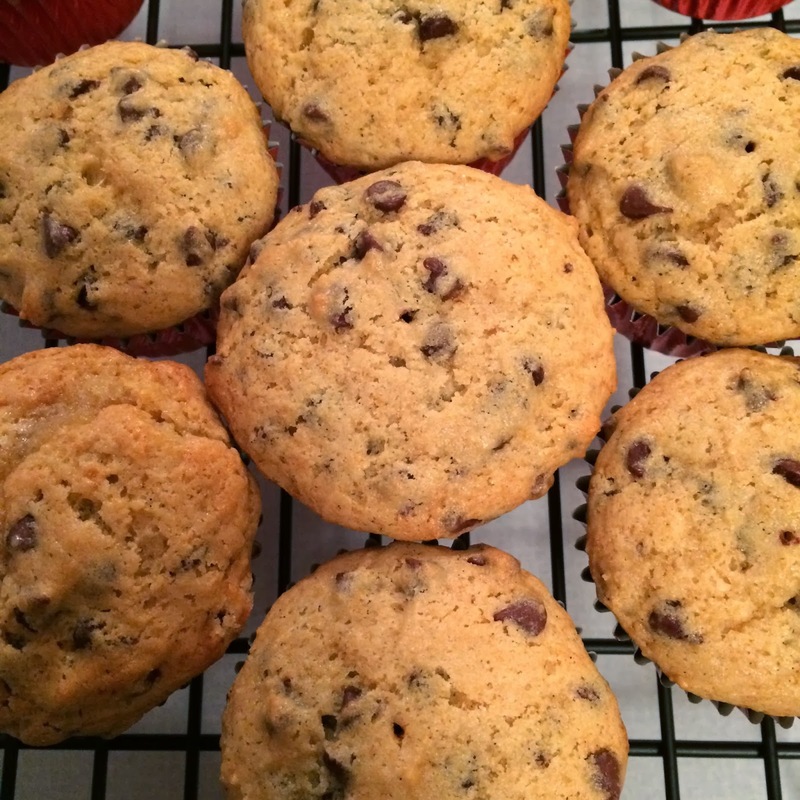 The popularity of those muffins gave me the itch to try my hand at making a traditional Chocolate Chip Muffin! Regular chocolate chip muffins happen to be my favorite, and every Sunday John's parents come over with muffins for us from a bakery in his hometown! 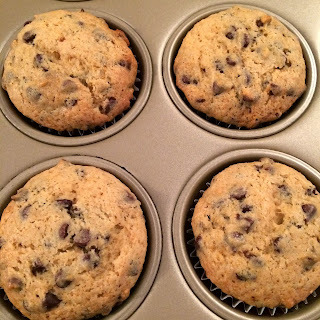 I almost always request the plain Chocolate Chip Muffin! 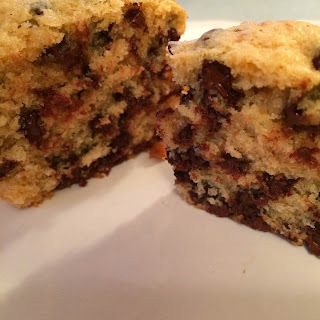 It is simple and delicious...plus it means you get to eat chocolate for breakfast! 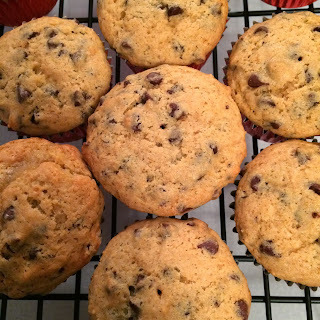 The muffins that I came up may not be quite as good as those jumbo, fluffy muffins made with white flour...but they are pretty darn good! 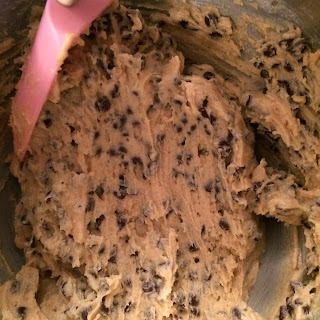 The ingredient list is short and they are super easy to make! 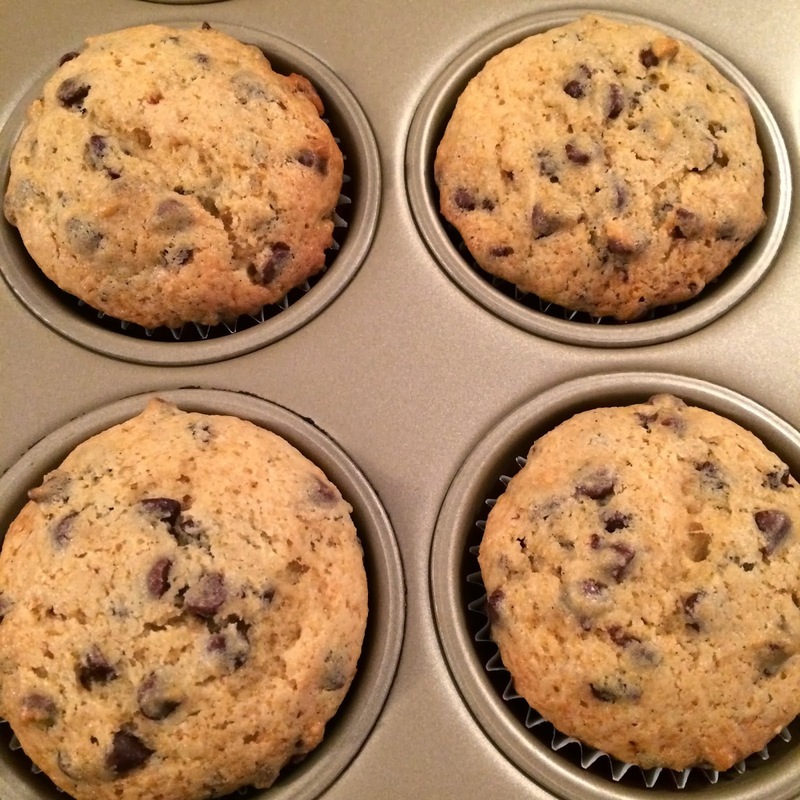 I used whole wheat flour to make them a bit healthier, but you can use white flour if you like! I save my white flour indulgence for Sundays! The best thing about these muffins...they are loaded with chocolate chips! In every.single.bite! 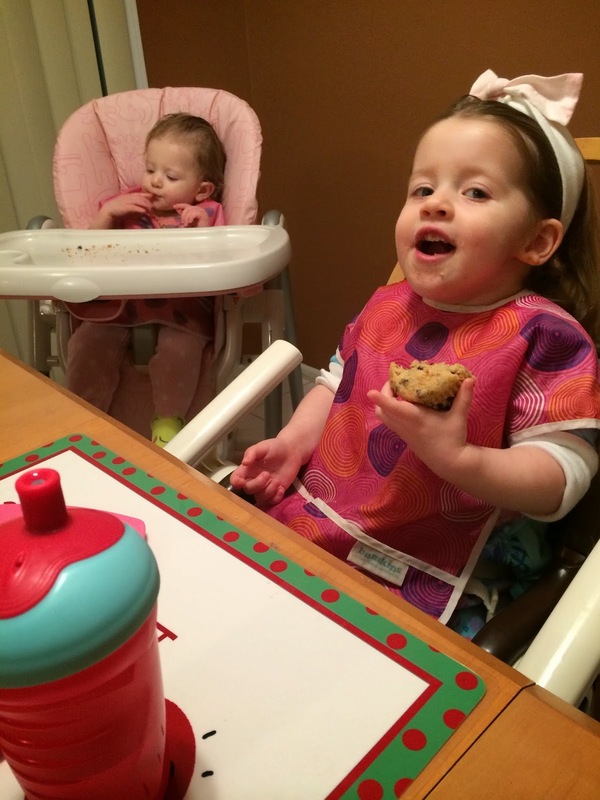 Lacie loving her muffin while Sweet B is licking up crumbs in the background! Both of my girls love a good muffin!